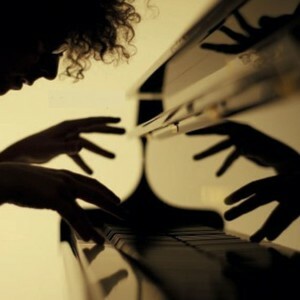 Born in 1969, Allevi is an Italian contemporary classical composer and pianist. He does not use improvisation. He graduated in piano, in orchestration and in philosophy. His public debut has been opening a concert of the Italian pop-rock star Jovanotti (Lorenzo Cherubini). At first, the audience was astonished, but it has been a great success. Afterwards, Jovanotti produced the first album of Giovanni Allevi, "13 Dita" (1997). In 2003 Allevi releases "Composizioni", and in 2005 "No Concept", after a successful exhibition at New York's Blue Note. Then, "Joy" (2006) and "Allevilive" (2007). After 5 albums for piano solo, he composed "Evolution" (2008) for symphony orchestra.